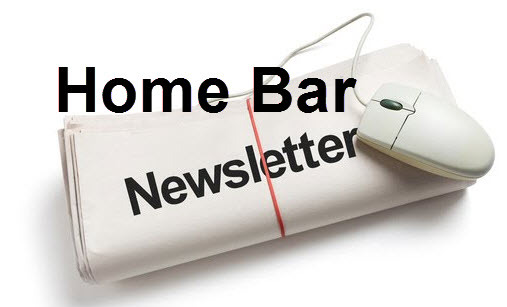 Welcome to the first issue of our Best Home Bar EVER Newsletter! In these updates we will be sharing anything and everything cool regarding home bars, basement bars, outdoor home bars, Tiki bars, drinks, and cool accessories and gift ideas (like portable ice makers) that we come across from all over the internet. If I want to stock a home bar with liquors that will offer versatility, range and value-for-dollar, which three bottles should I buy first? Lots of great home bar ideas. No one’s coming over to your house for a flaming cocktail. Conversely, no one’s coming over to your house if you have no booze at all. You don’t need to get too wild, but you need to be prepared. Friend, you need to stock a home bar. And our Pinterest Pin of the Week….